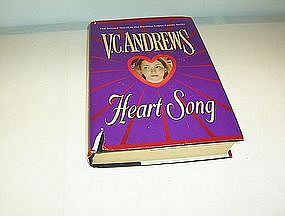 This book is titled "Heart Song" by V. C. Andrews is the second novel in the exciting Logan Family Series. 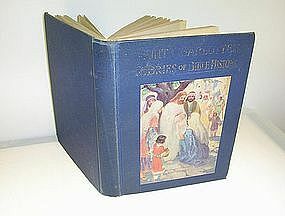 The book is being SOLD AS IS/USED condition. The book is in good condition. It is published by Pocket Books copyright 1997. Any questions please email me I will be happy to reply. Will accept money orders and cashier checks. Will also accept personal checks with UP to 10 days to clear. The "Story of the Hoover Dam" copyright by Compressed Air Magazine 1931-1935 published by Nevada Publications is available for purchase. 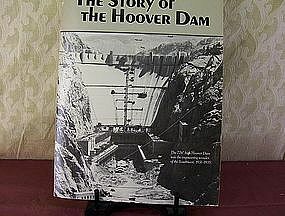 This book is a wonderful history of the dam and is in paperback version and is 144 pages. All photos are black and white. This book has an ISBN so it must be a recent book. It is still a book of knowledge and interesting reading. Any questions please email me. I will mail this book to your USA address for $6.00 to include packing/handling/postage. 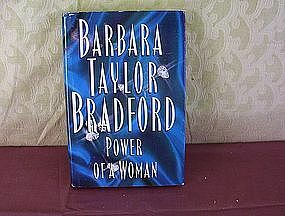 The Power of a Woman by Barbara Taylor Bradford is available. 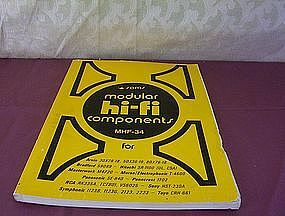 The book is sold AS IS/USED. The price of the book includes postage if mailed in USA. Please email for any questions to be answered. Thanks. A USED AS IS book titled Perot An Unauthorized Biography by Todd Mason is available for purchase. The book has been read and has the dust cover. 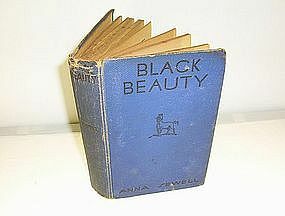 It is in great shape and needs a new reader. Please email me for answers to your questions. A copy of the book Primary Colors A Novel of Politics by Anonymous is available for purchase. The book is sold AS IS USED and it has been read. It has a dustjacket and a sticker with Bestseller on it. Copyright 1996. Please email for any questions you may need answered regarding this book. 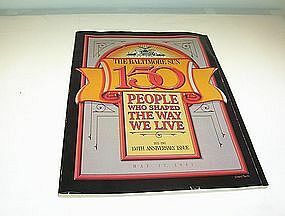 This is a paperback "The Baltimore Sun 150 People Who Shaped the Way we Live" 150th Anniversary Issue, 1837-1987 issued May 17, 1987.The book is being SOLD AS IS/USED/SOME WEAR ON EDGES/NORMAL SIGNS OF A BOOK AS BEING USED/READ. Please email me for further information or questions you may have. Will mail Media USA address for $4.00. 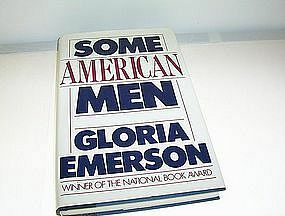 Some American Men by Gloria Emerson is a Winner of the National Book Award and was published in 1985 is being offered as a USED AS IS book in good condition. The dust jacket is still on the blue covered hard back book. It does show some wear, the book has been read. Any questions please email me. Will accept money orders and or cashier checks. Will also accept personal checks with UP to 10 days to clear. 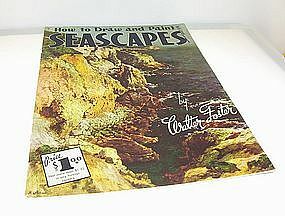 This book How to Draw and Paint Seascapes by Walter Foster is A Walter T. Foster Publication which I cannot find a date on the publication. 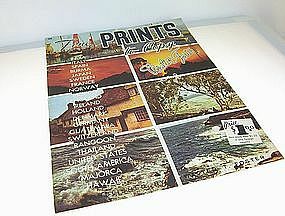 The publication is being SOLD AS IS/USED condition. It has a library stamp in the right hand corner. The book is in good condition. Any questions please email me I will be happy to reply. Will accept money orders and cashier checks. Will also accept personal checks with UP to 10 days to clear. 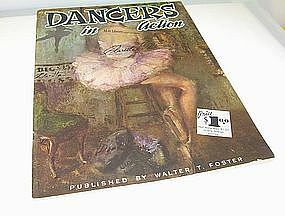 This book "Dancers in Action" is A Walter T. Foster Publication which I cannot find a date on the publication. The publication is being SOLD AS IS/USED condition. It has a library stamp in the right hand corner. The book is in good condition. Any questions please email me I will be happy to reply. Will accept money orders and cashier checks. Will also accept personal checks with UP to 10 days to clear. 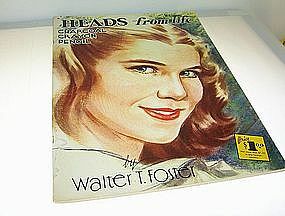 This book Heads from Life Charcoal Crayon Pencil by Walter T. Foster is A Walter T. Foster Publication which I cannot find a date on the publication. 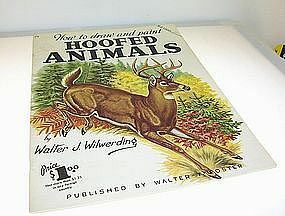 The publication is being SOLD AS IS/USED condition. It has a library stamp in the right hand corner. The book is in good condition. Any questions please email me I will be happy to reply. Will accept money orders and cashier checks. Will also accept personal checks with UP to 10 days to clear. 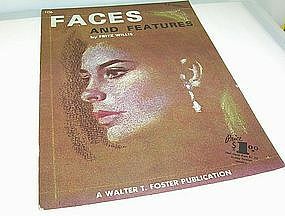 This book Fine PRINTS to Copy is A Walter T. Foster Publication which I cannot find a date on the publication. The publication is being SOLD AS IS/USED condition. It has a library stamp in the right hand corner. The book is in good condition. Any questions please email me I will be happy to reply. Will accept money orders and cashier checks. Will also accept personal checks with UP to 10 days to clear.